NATO-led international peacekeepers, KFOR, strengthen control of the two checkpoints in northern Kosovo following the clash between local Serbs and Kosovo special police. The UN Security Council is to discuss the situation on Thursday. ­KFOR forces have been deployed to the area to try and ease tensions after a mob of angry Serbs threw petrol bombs and set fire to a customs post on Kosovo's northernmost border with Serbia in Jarinje, a few hours after Kosovo's police withdrew from the area. 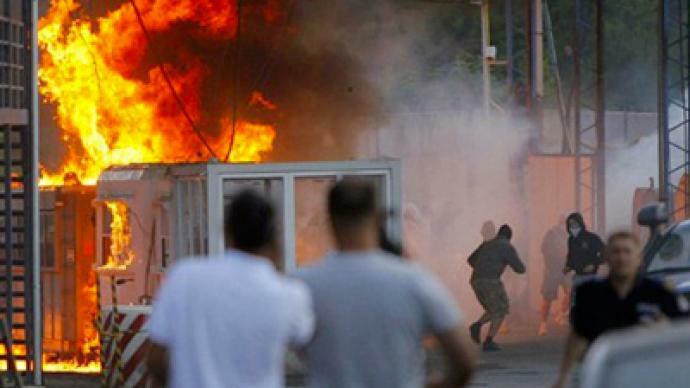 NATO forces had to fire at a Serb mob in order to bring the situation under control, AP reports. There have been no reports of casualties. KFOR commander General Erhard Buhler criticized local Serbs in northern Kosovo for burning down a border crossing at Jarinje on Wednesday, saying he was "disappointed" with the events, says the BalkaninSight.com news web resource. Kosovo's Prime Minister Hashim Thaci blamed Belgrade for the attack on the border post, but Belgrade has denied his accusations, also condemning the violence. 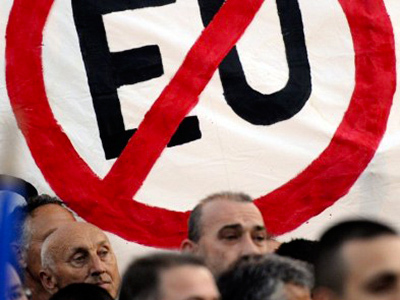 The crisis broke out on Monday night, when Prime Minister Thaci sanctioned the police action. 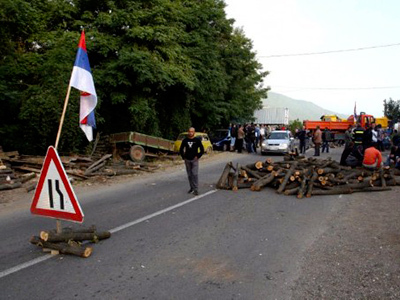 Special police forces then attempted to take over two checkpoints in Jarinje and Brnjak in the Serb-held north of the province in a move to enforce the order from Pristina aimed at banning the import of goods from Serbia. The police, however, met strong resistance from the local Serb minority and one policeman died during the operation. 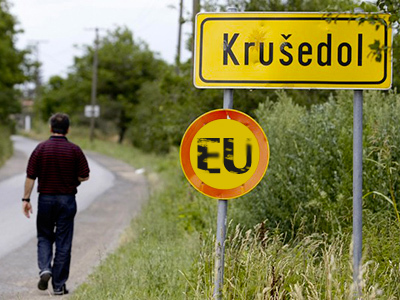 Following the request from Serbia, the UN Security Council will meet on Thursday to discuss the situation in Kosovo. Meanwhile, talks between Serbia's Minister for Kosovo Goran Bogdanovic and other representatives from Belgrade on the one hand and KFOR on the other will continue today in an attempt to reach a lasting solution. Russia, the EU and the US have condemned Pristina's decision to send Special Forces to seize border crossings along the shared frontier with Serbia. Moscow said the move threatened to destabilize the region. Around 60,000 Serbs live in the north of the Serbian autonomy Kosovo and do not recognize its independence, which it unilaterally declared in 2008. ­It is still unclear who set fire to the Jarinje customs checkpoint on the Kosovo-Serbia border, political analyst Aleksandar Pavic told RT. As for the situation in Kosovo, it is definitely under NATO control, he added.